The basis of this track is a 16-minute field-recording of Toronto International Airport (YYZ) that I created while travelling recently. 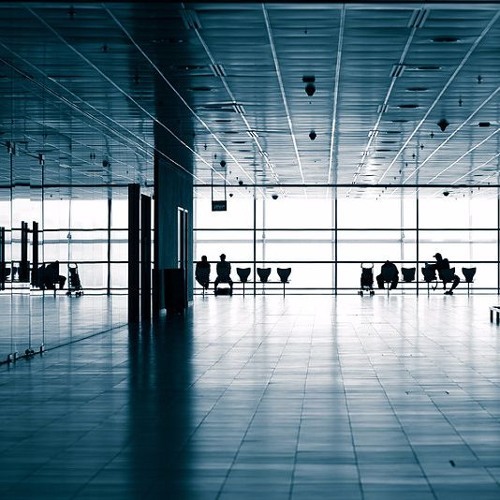 As I was walking around between flights I realized there were a number of interesting snippets of sounds from all kinds of establishments and activities which prompted me to try recreate a bit of that musically to support the ambient soundscape of the airport terminal. For better or worse, I’ve been determined to use the whole stretch of the sample I took, so if the track is a little long that’s why. For some reason or another I had an unusually hard time with this one so it’s taken a bit longer than usual. At any rate, I hope you enjoy the track and your time is suitably rewarded. So relaxing and so interesting at the same time! @lutz-thuns: Thanks again Lutz - all the best to you too! @teratonics: Thats an awesome little bit of info :) I'm happy you enjoy the track! Favorite new slice of time listening to this song! Such a perfect relaxing soundscape - <3<3!